Ever since the Chevrolet introduced its Equinox way back in the year 2010, we have been its fans because of several reasons like its good looks, practicality and comfort, which make it not ours but many other reviewers’ favorite small crossover. But if make a close comparison to some of the recently launched or we can say refurbished SUVs’ in the market, we found that 2014 Chevrolet Equinox is not as much desirable as compared to its rivals or even not the same what it used to be, but it still has that same power and persona that will surely make you take a look at it while you go out to buy a new small SUV. 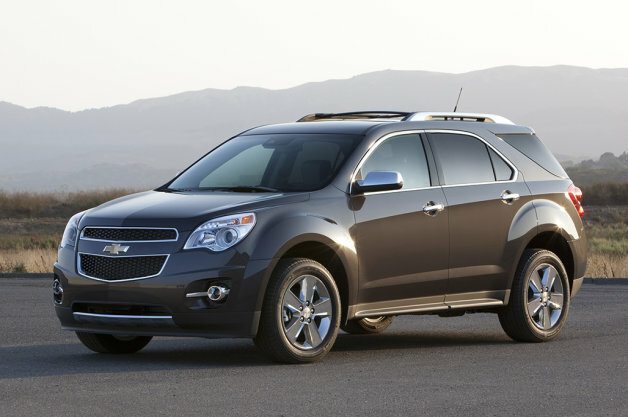 The best part about the 2014 Chevrolet Equinox is its powerful V6 engine, which has always been a strong point for Chevy. If we go by the latest trend, we found that most of the SUV makers are dropping V6 engine from their small SUVs’ due to concerns like fuel economy and lack of customer demand, which has again become a strong point for Equinox as well its GMC twin Terrain because in 2014 there are only few models of small SUVs available that are offering grunt six cylinder engine for towing, hauling or even fulfilling the speed desires of the consumers. Over the years, Chevy Equinox has managed to get thumbs up for its ride comfort and cabin quietness, which are also on the top five of what we need from an SUV list of most of the consumers. However, there is one factor with Equinox which considerably decreases its points and that is its limited cargo space, which is quite low if compared to the rivals. Although, it’s enough to load general baggage which usually people haul, but it is certainly not meant for cargo hauling especially while going off road. In comfort department, there is one thing about 2014 Chevrolet Equinox which is quite impressive and it is its sliding and reclining rear seats that offer first class kind leg room to second row passengers. The only thing about 2014 Chevrolet Equinox that impresses us the least is its 2.4 liter four cylinder engine, which remains standard on all trim levels, although it claims to have solid EPA fuel economy ratings, but in real life, it has failed to overwhelm us with its fuel economy as well as performance. In the handling department as well 2014 Chevrolet Equinox lags too much and its steering is very disappointing even if we look at it by the budget crossover standards. If you are looking for an SUV which is more practical, then we would suggest you to look for other rivals like roomier and multitalented Honda CR-V and Kia Sorento; they offer optional V6 engine along with third row seat for a big family. For sportier SUV with more entertaining driving experience Ford Escape, Mazda CX-5 and Volkswagen Tiguan can be an ideal choice for you. 2014 Chevrolet Equinox can also fit your bill ideally if your priorities are upscale interior and optional V6 engine, otherwise there are better options to look for.